As a long-standing member of the Abram Interstate team, Rhonda is one of the keys to our success. 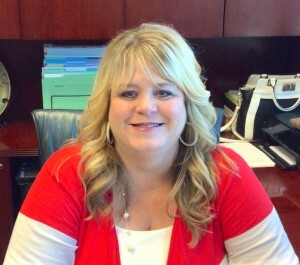 She joined the Abram team in 2003, but has worked in the insurance industry since 1988. Her first day in Insurance was Halloween but still, she’s never been spooked and run away from it. Hear from her why she loves her job: “I love identifying a problem and then coming up with the solution. Where there is the will there is always a way. I love technology and figuring out how we can leverage it to our advantage. I have been in this business for 27 years and I learn something new every day. She loves what she does and the people she works with and she looks forward to the challenges that her role holds for her each day. She’s proud to be a part of what has been and excited to be a part of what will be here at Abram. On the non-business sides of things, Rhonda classes up whatever room she’s in with her scarves from around the world and her chic bun, but her dream vacation would be to visit Salzburg, Austria. She’s wanted to visit there since she was a kid because she’s able to trace her family heritage back there to the early 1700s. She and her family like to explore their local Sacramento area and try to go someplace new each week. Maybe we all should follow that lead!